Features a cute white dog. 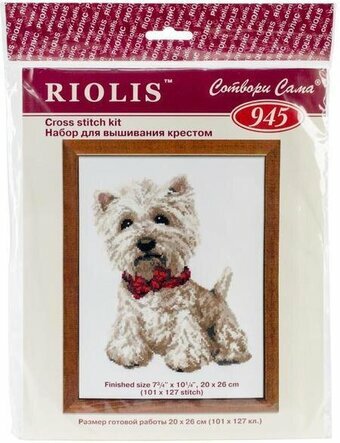 This cross stitch kit contains 16 count even-weave white cotton fabric, woolen and acrylic yarn and one needle. Design: West Highland White. Finished size: 10 1/4" x 7 3/4". Model stitched on 14 Ct. Sky Blue Aida with DMC floss. 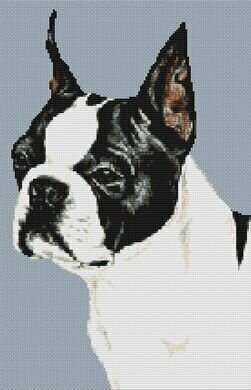 Stitch Count: 224 x 224. Based on the artwork of Debbie Stonebraker. 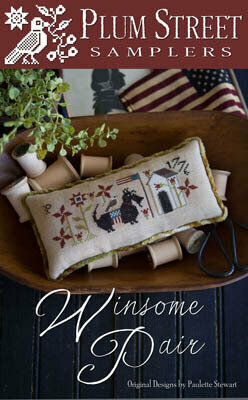 Stitch Count: 137W x 154H. 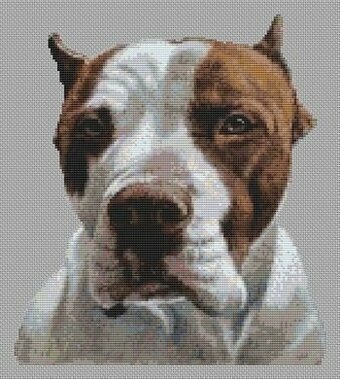 Model stitched on 14 ct aida using DMC floss. Artwork by Kathleen Sepulveda. Stitch Count: 132W x 209H. Model stitched on 14ct Sky Blue Aida with DMC floss.